Heading north from Dublin take 2nd exit signposted for Balbriggan. Travel in the direction of Balbriggan and at traffic lights take immediate turn right onto the Harry Reynolds Road, just before the AIB Bank building take immediate right into Fingal Bay business. No 5 is on left hand side on entering the Business Park. 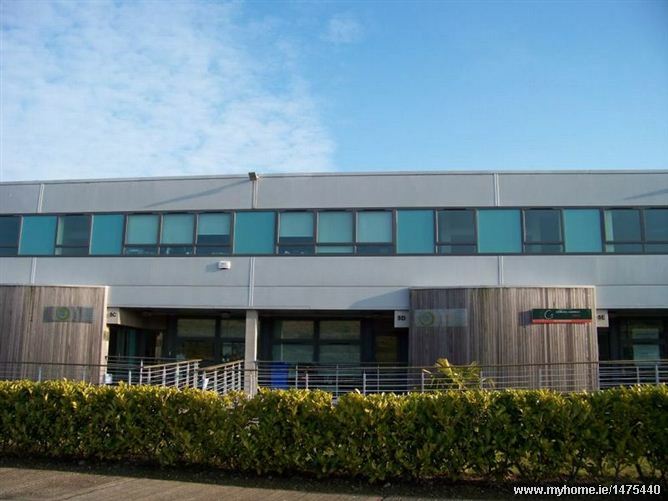 New to the market this modern office / business premises is finished to a higher than standard specification and extends to approx 298 sq m . Ideal for professional practice/office/medical use. The accommodation is contained over 3 floors and has the added benefit of a large sunny balcony with spectacular views over the countryside. The building also benefits from 8 generous car parking spaces to the front and is within minutes drive of the M1 Motorway giving ease of access to the port tunnel and all other routes. Viewing is very highly recommended.